We specialize in apartment moves, furniture & appliance moves, furniture disposal, estate clean-ups, & delivery and setup. We move in Cape Breton & to the rest of the Maritimes. Competitive prices. We do residential and commercial moves serving the local area as well as the Maritimes. We also do garbage removal. Excellent service and rates. MacDonald Movers is a locally owned and operated company offering local and long distance, residential and commercial moving. Complete packing available. 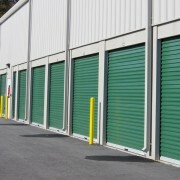 Self storage units are available. Call today. Consultez le bureau de l’éthique commerciale si vous avez des doutes une entreprise de déménagement à Sydney NS.